…for some more sports climbing. 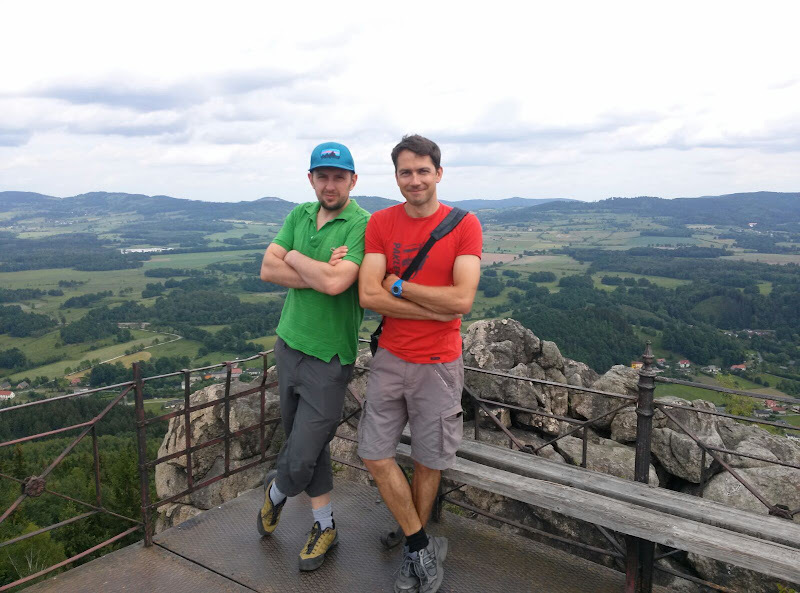 Yesterday we went to Sokoliki, a climbing crag in the Sokole Gory (part of Sudety Mountains), near where Monika’s from. 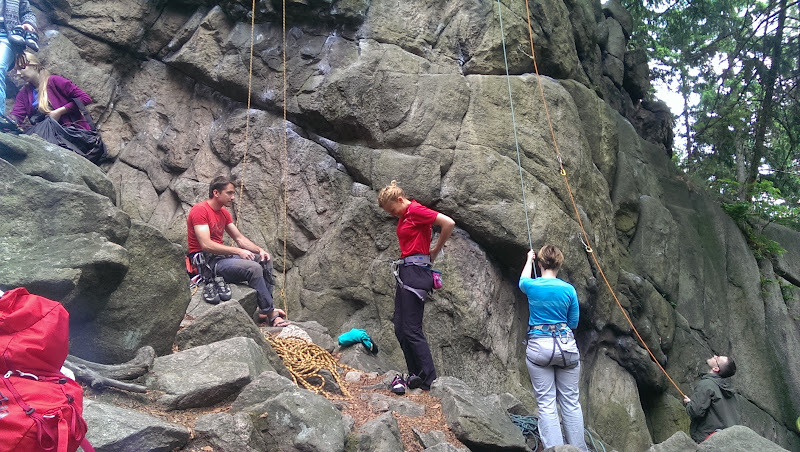 We had a pleasure to meet up with Grzegorz and Patrycja, who drove from Katowice region to climb with us. There were also some none climbers with us – Monika’s sister’s family, as well as Aleksander and Justyna from Zgorzelec. Good group to have plenty of fun with! The region itself is pretty amazing, a granite heaven, known as a proving grounds for many generations of mountaineers. It’s here where most of the Polish famous climbers would train before embarking on their trips into High Tatras and beyond. There is actually couple of crags next to each other offering couple hundred routes (both bolted and trad) in range from 4 up to mid 7s (French sports scale). The place was very crowded yesterday (since it was a weekend in the middle of the season) with all easier routes heavily queued up. 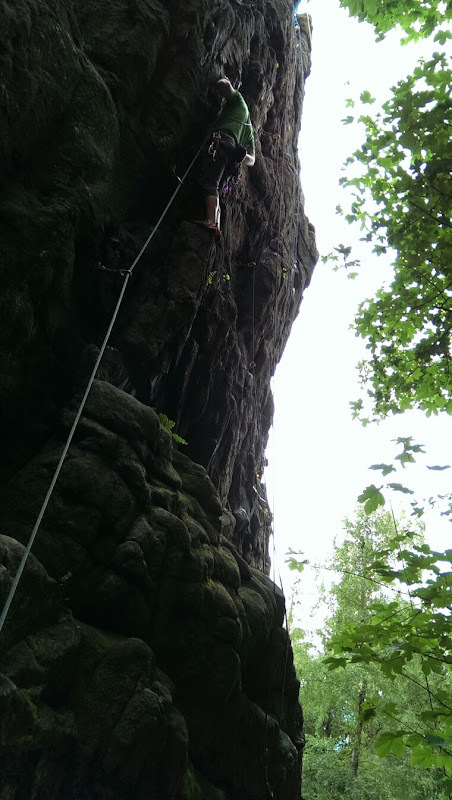 We did couple of random V graded routes , we settled on part of the crag called Zipserowa Czuba. We ended up leading 4 or 5 routes ranging V+ to VI+) (French 5 to 6a+). As described in the book – the rock is amazing, not polished at all (pun not intended 😉 – and routes were just nice and long. After we were done, we all met up back home in the back garden barbecue for a well earned beers and grilled sausages. During that day I’ve learned that I still have loads to learn to actually climb well. Definitely a lot of training in front of me, if i want to make an impact on this years October sports climbing trip.